Addiction to alcohol and drugs affects one’s body, mind and soul. But the damage doesn’t end there. Families and friends also suffer as their loved one’s dependency progresses, stress builds, and communication starts to break down. Families need to recovery from addiction, too. Family members and loved ones find ways to cope and adapt to the evolving lifestyle that addiction is shaping. It’s not uncommon for family members to feel imprisoned by this disease. As destructive, self-defeating behaviors increase, family members and addicts alike shift into survival mode, just trying to make it through another day of ever-worsening problems. As this process occurs, it becomes more difficult to have honest communication and maintain a sense of self. Intimacy and closeness are replaced by fear and loneliness. 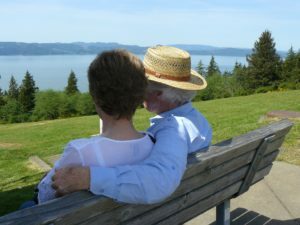 Family members focus on what they can do to control the situation and begin to accept their loved ones responsibilities in an attempt to help. Dreams fade, resentment builds, trust disappears and hope dims. Learn about the disease, including the effect it has had on family members. Develop and set healthy boundaries. Allow, and respect, your loved one’s need to take responsibility for their choices and actions. Accept your situation in an honest, realistic, and loving way. Reach out for help and learn from others’ experiences through community support networks like Al-Anon and other groups. Give yourself credit for slow, steady progress. Understand there are no quick fixes! Many people have broken free from the isolation and oppression that addiction can bring. Treatment centers, therapy, and community self-help groups offer opportunities to learn more about the disease, yourself, and how to live a more fulfilling life instead of just surviving.